The Berkeley Arts Council presents “Shenandoah Clay”, an selection of pottery by members of the Shenandoah Potters Guild. The exhibit will be on display from May 4 through June 4 in the Special Exhibit Gallery at the Berkeley Art Works, 116 North Queen Street in Martinsburg. A reception, free and open to the public, will be on Saturday, May 14 from 4-6pm at the gallery. Gallery hours are Wed 11-5, Thu 11-5, Fri 11-8, Sat 10-5, Sun 12-3. The exhibit, curated by Martha LeRoi, includes work by LeRoi, Sally Myers, Alice Boysen, Catherine Wolniewicz, Lin Hausknecht, and Steven Wilson. 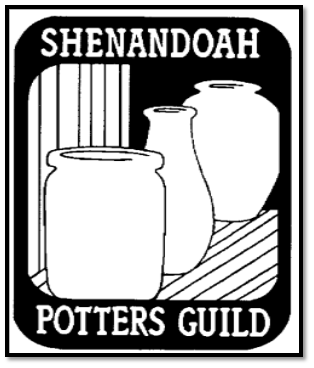 The Shenandoah Potters Guild was established in 1994 out of the Strasburg (Virginia) potters Guild. The Guild’s members are drawn from throughout the Northern Shenandoah Region from as far south as Mount Jackson, Virginia to Shepherdstown, West Virginia. The objectives are addressed through programs, workshops, exhibits, and sales, some of which are open to non-members and the general public. Some of the guild’s annual activities include the Strasburg Mayfest, participation in various fairs and festivals, an Empty Bowl Soup Supper and a large Holiday Sale in Winchester.